I have a problem with the display in the scroll bar that does not show the movement of the song. My cell phone is a Galaxy J5 Prime. Do you want a visualisation there in the EQ ? 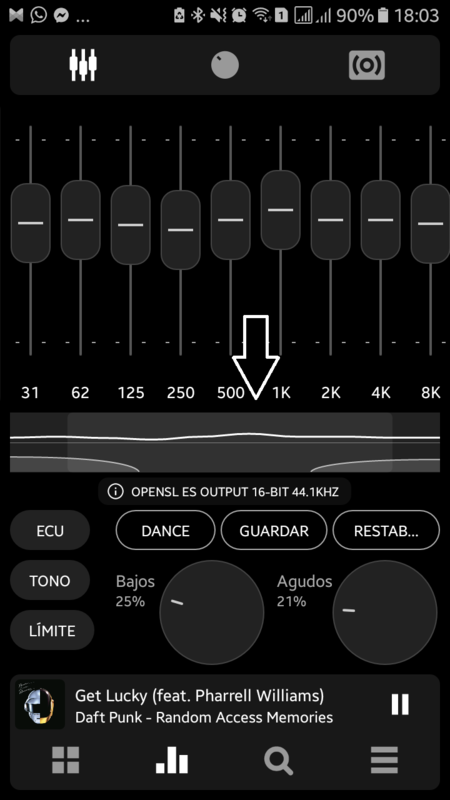 See Settings > Visualisation > Equalizer Screen Spectrum.